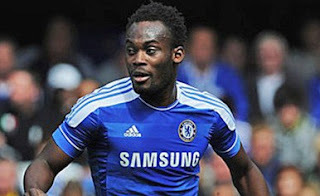 Michael Essien got his first taste of Premier League football in 273 days after making a cameo against Sunderland in his Chelsea's 1-0 win at Stamford Bridge. 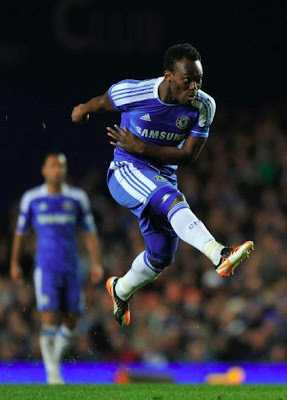 Coming on for Frank Lampard, Essien had about 18 minutes to get going again after his long layoff. The Ghana midfielder came on for Lampard in the 73rd minute and almost immediately affected the game with a dragged effort two minutes later. In his post-match press interview, coach Andre Villas-Boas was excited with the Bison's return. "I commend our medical staff who got Michael Essien back a month early and to see him on the pitch was amazing." Now, at 29, many fear that he will be a more careful player than he is known to be. Essien was injured in pre-season in a freak accident which has kept him off action for six-months.